Can I not do to you, house of Israel, as this potter has done? says the LORD. 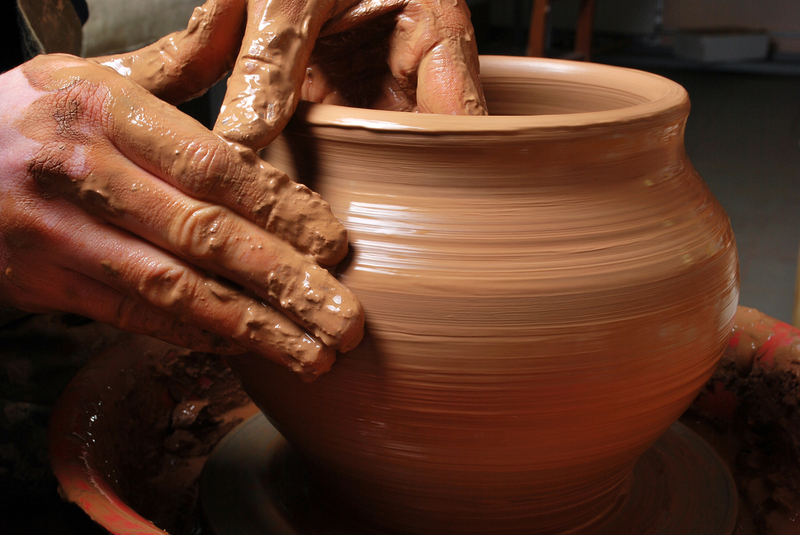 Indeed, like clay in the hand of the potter, so are you in my hand, house of Israel.” -Jeremiah 18:1-6. …THE PROPHECY AND THE PANIC BUTTON…. Yup…here I am…throwing my hat into the ring on THIS subject…. Now, I see A LOT of people panicking over “The End of Times”…we see new wars breaking out everywhere….injustices being visited on man by man….diseases we thought LONG since gone are making a new and surprising comeback (with some NEW ones added in for worry)… yes friends, it looks like “The Time” is near…so…why on earth is everyone panicking? For the last 2,000+ years we have ALL known this would be coming. NO ONE can say they have never heard of the “End of times”. “Jesus said to them: “Watch out that no one deceives you. Many will come in my name, claiming, ‘I am he,’ and will deceive many. When you hear of wars and rumors of wars, do not be alarmed. Such things must happen, but the end is still to come. “Brother will betray brother to death, and a father his child. Children will rebel against their parents and have them put to death. Everyone will hate you because of me, but the one who stands firm to the end will be saved. Let no one in the field go back to get their cloak. How dreadful it will be in those days for pregnant women and nursing mothers! “If the Lord had not cut short those days, no one would survive. But for the sake of the elect, whom he has chosen, he has shortened them. At that time if anyone says to you, ‘Look, here is the Messiah!’ or, ‘Look, there he is!’ do not believe it. For false messiahs and false prophets will appear and perform signs and wonders to deceive, if possible, even the elect. So be on your guard; I have told you everything ahead of time. Yes, there is all is…in black and white…and HAS BEEN for the last 2,000 years. And yet….why is it they have been pushing that panic button on people..the one that makes people so AFRAID of these things to come? Is it to scare you all into either BELIEVING it is coming, or to scare you into being so AFRAID to NOT come through their doors each week? The truth is that while yes, we SHOULD be nervous…because NO ONE likes to hear the darker side of what is to come…we should actually be HAPPY. Yes, there…I said it..HAPPY. Reason? Because if we have been doing what HE TOLD US TO…preparing ourselves for the inevitable..then we should know what is coming AFTER. Every time one of our childhood icons departs, every time one of our favorite shows gets cancelled, every time our favorite band falls into obscurity, every time we hear of a friend we went to high school with, or a neighbor we liked dies, we get sad right? But then LIFE GOES ON….yes…a new child is born into our family, or a new series gets our attention…or we find a new icon to look forward to in their next movie. THIS IS WHY we should not be afraid of what is to come…because SOMETHING BETTER IS COMING. Now, most of them focus on THESE SCRIPTURES and say “THE END”…silly people…THIS is not the end, but merely the BEGINNING. John’s Revelations tell us there are WORSE things to come. So why am I saying all of this? Well, because SURE, we should be worried…but not to the point where we are running around like a headless chicken! I HAVE ANOTHER MESSAGE TO SAY…not one of fear, or scare mongering…but one of CHEER…ready? You didn’t think He would go through all the trouble of CREATING you just to leave you high and dry, did you? HE GAVE YOU AN ‘OUT’!!! I see people say “why doesn’t God do away with all these evil people?”…HE WILL, never fear…but the OTHER message we were sent seems to have gotten lost along the way in all the panic. If you have gotten your soul in order, have your mustard seed of faith (Ref: Luke 17:6) then WHY BE WORRIED? In the end, it is not up to churches, or preachers, or even MAN who gets into Heaven…it is up to GOD…and if God LOVES you…so then why would you be afraid? Your body is just that…a shell…it can be fat, skinny, long, short..HE DOES NOT CARE…He cares what you do with the INSIDE of the shell…YOU ARE MORE THAN THE SHELL. You are a SOUL..a PIECE OF GOD’S DIVINE BREATHE INSIDE OF YOU. Jesus, my Master, gave us THREE SIMPLE RULES TO FOLLOW…if you can say “oh well, the 10 Commandments” are hard to follow, then get ready because the 3 are even HARDER…. “Of all the commandments, which is the most important?” “The most important one,” answered Jesus, “is this: ‘Hear, O Israel: The Lord our God, the Lord is one. And the REALLY tough one…. Somewhere along the lines the leaders of religion FORGOT to mention those, eh? Somewhere along the timeline they sort of focused on the dire, and left the GOOD bits out. This is the message we have all had for a VERY long time, and seems to have gotten lost along the way…. Instead of worrying about what is coming, try to focus on what is HERE AND NOW. NOW you have the opportunity to stop the clock on your soul. NOW you have the chance to turn it all around..NOW YOU HAVE A CHANCE OF SEEING THE ‘AFTER’ if you would only wake up and quit panicking and REALIZE YOU CAN CHANGE. Deathbed recanting of your entire life is NOT an option…try LIVING The Word instead NOW so you can AVOID the fear. Love one another…treat each other with kindness, and compassion…HELP ONE ANOTHER through this… CHANGE YOUR WAYS. I am not saying you need to become a pew pounder…I am saying you need to HEED those three laws…they are really simple to do! Love God, Love your fellow man, DO NOT JUDGE…and it is all GRAVY from there! If you have your mustard seed in order, and you are not judging others..and you LOVE one another NO MATTER WHAT THEIR FAITH/RACE/CREED/SEXUAL ORIENTATION/SOCIAL STANDING etc IS, then YOU should not be afraid of something that we have ALL been told for 2 THOUSAND years. It is easy! It CAN be fun! and guess what? IT WORKS! Saint John tells us that Jesus loved Martha and Mary and Lazarus (John 11:5), but only a few glimpses are vouchsafed us of them in the Gospels. First, the sisters are set before us: Martha received Jesus into her house, and was busy in outward, loving, lavish service, while Mary sat in silence at the feet she had bathed with her tears. Then we learn that their brother is ill when they send word to Jesus concerning their brother Lazarus, Lord, he whom Thou lovest is sick. 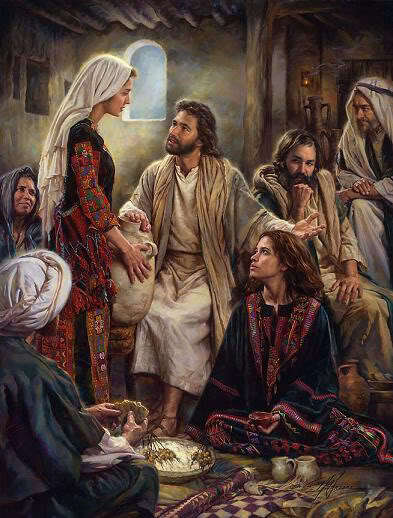 (John 11:3) In His own time the Lord came, and they went out to meet Him; then follows that scene of unutterable tenderness and of sublimity unsurpassed: the silent mourning of Mary; Martha strong in faith, but realizing so vividly, with her practical turn of mind, the fact of death, and hesitating: Lord, by this time he is already decayed! He has been dead four days. We do not hear of the beloved family again in the Scriptures, but tradition tells us that when the storm of persecution came, the family of Bethany, with a few companions, were put into a boat without oars or sail, and borne miraculously to the coast of France. Martha assembled a holy company of women, with whom she lived in great austerity of life and admirable sanctity at Tarascon where her tomb is venerated. Saint Mary’s tomb is at La Sainte-Baume; Saint Lazarus is venerated as the founder of the Church of Marseilles. It is this family which brought to France the relics of Saint Anne. She said to him, “Yes, Lord. I have come to believe that you are the Messiah, the Son of God, the one who is coming into the world.” -John 11:19-27. Saint Alphonsa of the Immaculate Conception was born in Kudamalur, the Arpookara region, in the diocese of Changanacherry, India, on the 19th of August 1910, of the ancient and noble family of Muttathupadathu. From her birth, the life of the Saint was marked by the cross, which would be progressively revealed to her as the royal way to conform herself to Christ. Her mother, Maria Puthukari, gave birth to her prematurely, in her eight month of pregnancy, as a result of a fright she received when, during the sleep, a snake wrapped itself around her waist. Eight days later, the 28 of August, the child was baptised according to the Syro-Malabar rite by the Fr. Joseph Chackalayil, and she received the name Annakutty, a diminutive of Anne. She was the last of five children. Her mother died three months later. Annakutty passed her early infancy in the home of her grandparents in Elumparambil. There she lived a particularly happy time because of her human and Christian formation, during which the first seeds of a vocation flowered. Her grand-mother, a pious and charitable woman, communicated the joy of the faith, love for prayer and a surge of charity towards the poor to her. At five years of age the child already knew how to lead, with a totally childish enthusiasm, the evening prayer of the family gathered, in accordance with the Syro-Malabar custom, in the “prayer room”. Annakutty received the Eucharistic bread for the first time on the 11 of November 1917. She used to say to her friends: “Do you know why I am so particularly happy today? It is because I have Jesus in my heart!“. In a letter to her spiritual father, on the 30 of November 1943, she confided the following: “Already from the age of seven I was no longer mine. I was totally dedicated to my divine Spouse. Your reverence knows it well“. The virtue of the Saint was manifested in accepting this severe and rigid education as a path of humility and patience for the love of Christ, and tenaciously resisted the reiterated attempts at engagement to which the aunt tried to oblige her. Annakutty, in order to get out from under a commitment to marriage, reached the point of voluntarily causing herself a grave burn by putting her foot into a heap of burning embers. “My marriage was arranged when I was thirteen years old. What had I to do to avoid it? I prayed all that night… then an idea came to me. If my body were a little disfigured no one would want me! … O, how I suffered! I offered all for my great intention“. The proposal to defile her singular beauty did not fully succeed in freeing her from the attentions of suitors. During the following years the Blessed had to defend her vocation, even during the year of probation when an attempt to give her in marriage, with the complicity of the Mistress of Formation herself, was made. “O, the vocation which I received! A gift of my good God!…. God saw the pain of my soul in those days. God distanced the difficulties and established me in this religious state“. Heaven came to the rescue of the holy novice. During a novena to The Servant of God Fr. Kuriakose Elia Chavara – a Carmelite who today is a Blessed- she was miraculously and instantaneously cured. Having restarted her novitiate, she wrote the following proposals in her spiritual diary: “I do not wish to act or speak according to my inclinations. Every time I fail, I will do penance… I want to be careful never to reject anyone. I will only speak sweet words to others. I want to control my eyes with rigour. I will ask pardon of the Lord for every little failure and I will atone for it through penance. No matter what my sufferings may be, I will never complain and if I have to undergo any humiliation, I will seek refuge in the Sacred Heart of Jesus“. The 12th of August 1936, the feast of St. Clare, the day of her perpetual profession, was a day of inexpressible spiritual joy. She had realised her desire, guarded for a long time in her heart and confided to her sister Elizabeth when she was only 12 years old: “Jesus is my only Spouse, and none other“. Jesus, however, wished to lead His spouse to perfection through a life of suffering. “I made my perpetual profession on the 12th of August 1936 and came here to Bharanganam on the following 14th. From that time, it seems, I was entrusted with a part of the cross of Christ. There are abundant occasions of suffering… I have a great desire to suffer with joy. It seems that my Spouse wishes to fulfil this desire“. In every situation, Sister Alphonsa always maintained a great reservation and charitable attitude towards the Sisters, silently undergoing her sufferings. In 1945 she had a violent outbreak of illness. A tumour, which had spread throughout her organs, transformed her final year of life into a continuous agony. Gastroenteritis and liver problems caused violent convulsions and vomiting up to forty times a day: “I feel that the Lord has destined me to be an oblation, a sacrifice of suffering… I consider a day in which I have not suffered as a day lost to me“. Alphonsa of the Immaculate Conception Muttathupadathu was proclaimed Blessed by Pope John Paul II in Kottayam, India, on the 8th of February 1986. She was canonized on the 12th of October 2008 by Pope Benedict XVI. With that Canonisation, the Church in India presents its first Saint to the veneration of the faithful of the whole world. 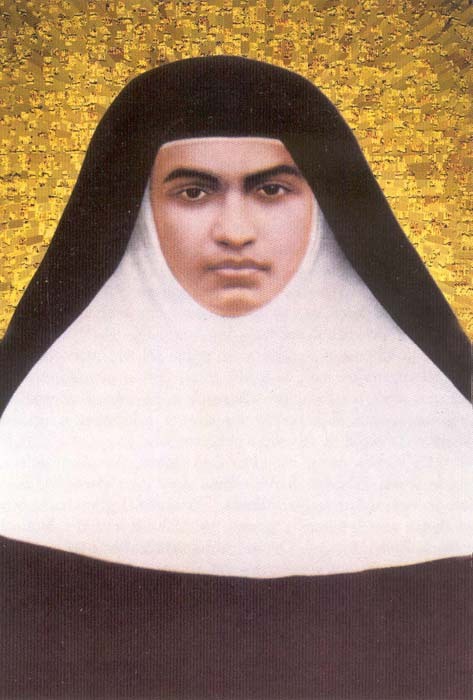 Faithful from every part of the world have come together in a single act of thanksgiving to God in her name and in a sign of the great oriental and western traditions, Roman and Malabar, which Sr. Alphonsa lived and harmonised in her saintly life. “Jesus proposed a parable to the crowds. “The kingdom of heaven is like a mustard seed that a person took and sowed in a field. 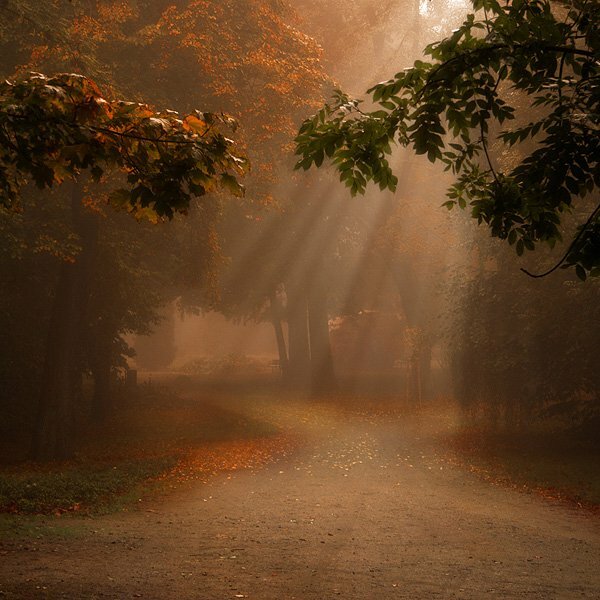 He spoke to them only in parables,to fulfill what had been said through the prophet: “I will open my mouth in parables, I will announce what has lain hidden from the foundation of the world.”” -Matthew 13:31-35. 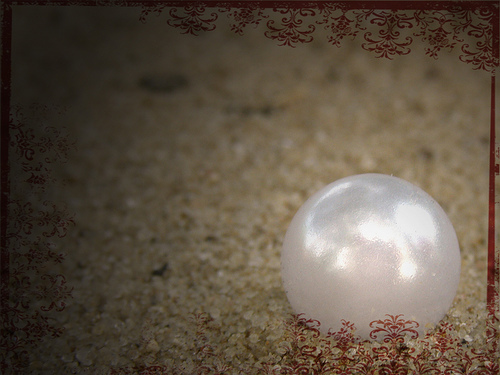 When he finds a pearl of great price, he goes and sells all that he has and buys it”. And he replied, “Then every scribe who has been instructed in the kingdom of heaven is like the head of a household who brings from his storeroom both the new and the old.” -Matthew 13:44-52.